Well, that covers most of it. This adaptation was published as Dell's Four Color Comics #1006 with script by Paul S Newman and art by John Buscema. 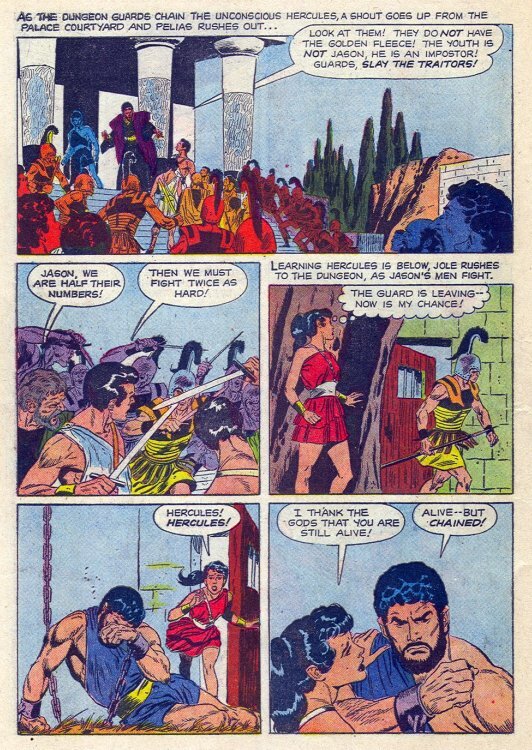 Note: Pelias' daughter is named "Iole" in the movie, but is called "Jole" in the comic, and the city-state Pelias rules is named "Iolcos" in the film, but called "Jolco" in the adaptation. Whether these were the names from an earlier draft of the script or changed for the comic because they would be too hard for a casual reader to pronounce is unknown. 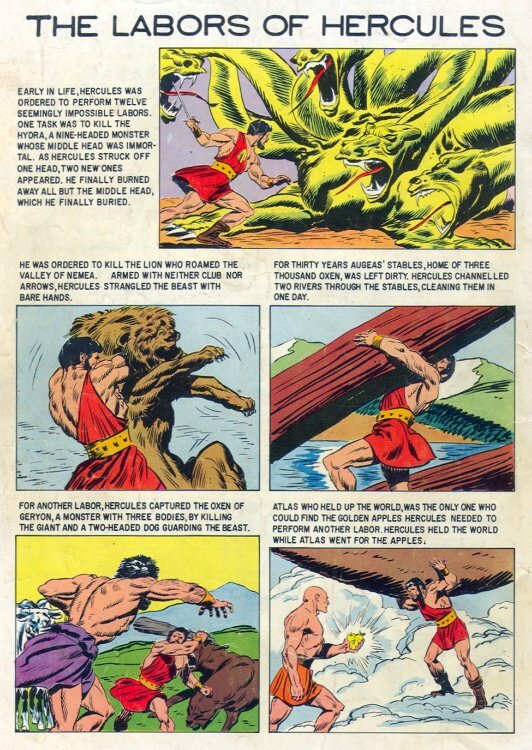 Since Hercules was both a well-known myth and a public domain character, anybody could use him in movies, tv, and comics, as long as their version didn't look like a previous version or use story elements created specifically for any of the earlier renditions. 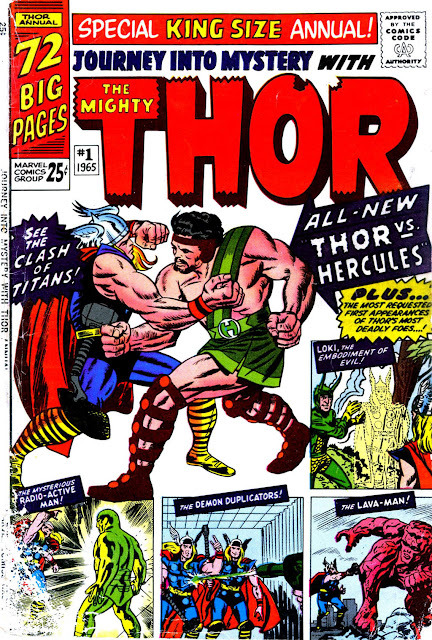 ...but the response, while good, was not at the popularity level of Thor, so Hercules became a wandering guest-star, appearing in other characters' strips before finally settling down for a year in The Avengers as of issue #38 (1966), where he served as Thor's replacement. 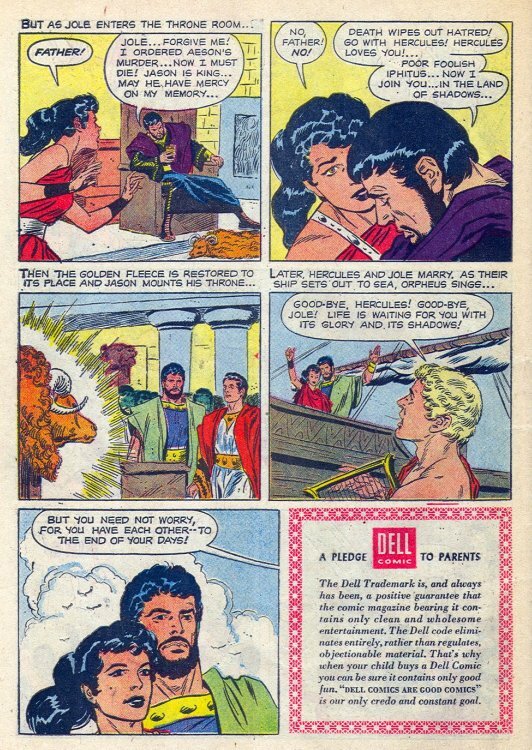 ...and suddenly, the relatively-minimal likeness of the Marvel version to Steve Reeves suddenly became a helluva lot more obvious! 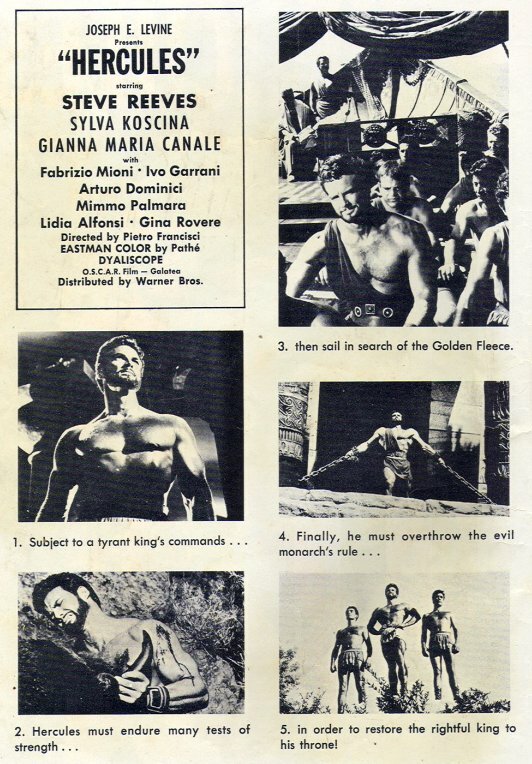 So obvious, that the Steve Reeves movies' producers objected! 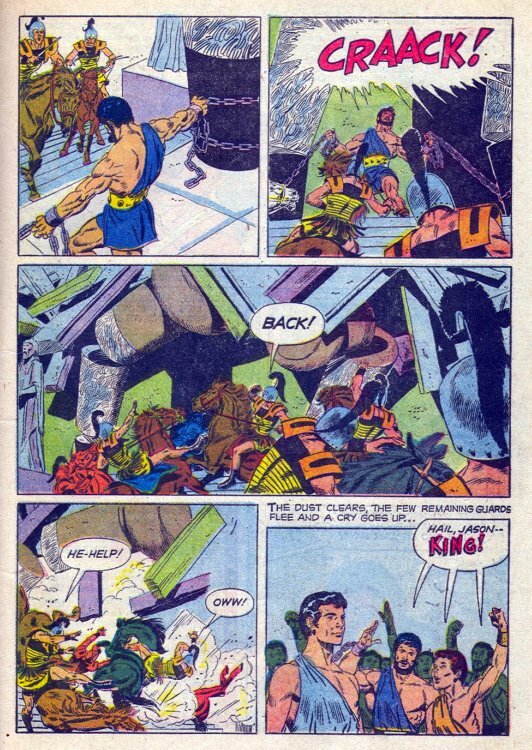 ...and clean-shaven Herc became the Marvel version for a couple of years! 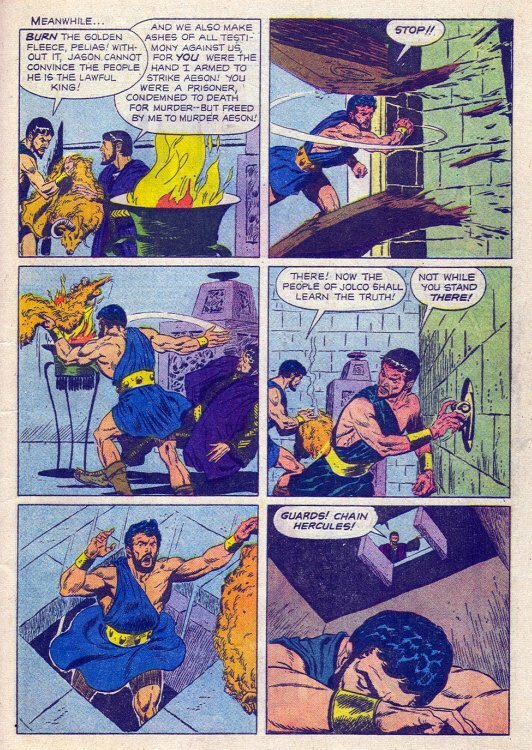 By 1970, Herc's beard grew back, and has remained ever since. 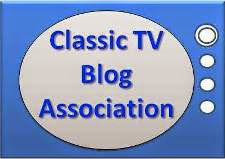 And now, a special treat...the complete movie!